To create the green circles, I used the same concept but changed the number of stitches to get the different sizes. Here are two examples. 5. Fasten off. Using embroidery needle, sew in the ends. I just did many random ones to create the different sizes. Once you have as many as you like, then prepare your necklace. 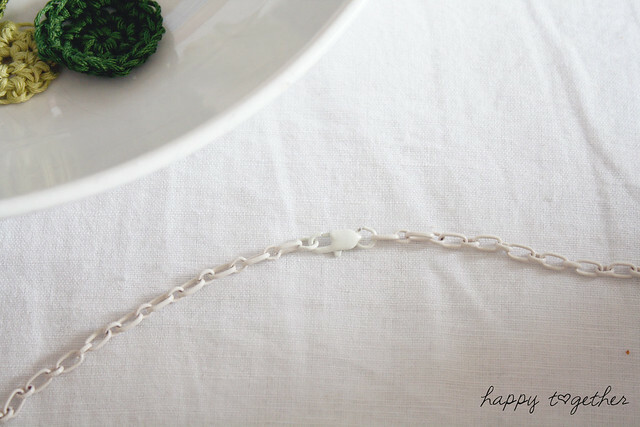 I attached the endings to the chain with some needle nose pliers. Then I added a jump ring to each crocheted circle and attached it to the chain, again using the pliers to open and shut the jump rings. And that is it! It doesn’t take long at all and comes out pretty cute. I think it would be really lovely in an array of colors! Thanks Kristin and Jordan for having me today. Be sure to check out all of the other wonderful tutorials they have featured over on their blog. 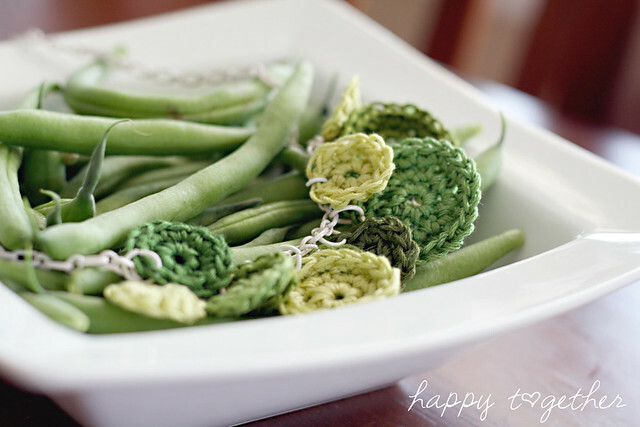 I love this and crocheting is what I’m in to at the moment, this will make a great (late) Mothers Day gift for my mom. I was waiting for a fab idea!! what a pretty necklace!! thanks for sharing! This is so pretty and inspiring! I love that gradient of green. Thank you for participating in the series Jessica. All I have to say is I want and need this necklace. And I want and need to know how to crochet. So lovely and fresh! 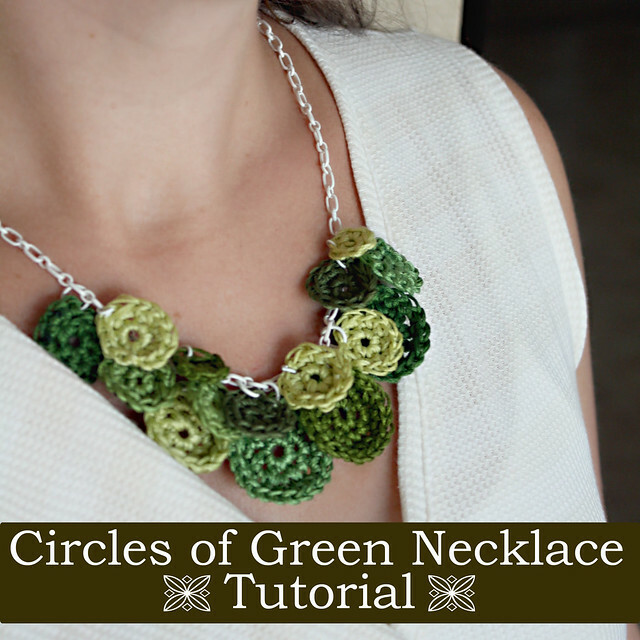 🙂 I have been thinking along the lines of a crochet necklace using circles… I hadn’t thought of using chain though – that’s cool. This is beautiful! I’m really in love with the crochet and chain look that seems to be popping up everywhere right now. This post definitely inspires me to want to experiment with something similar. Love this! I’m definitely going to make one for summer. So unique. I love this, and thankfully a good friend of mine crochets. 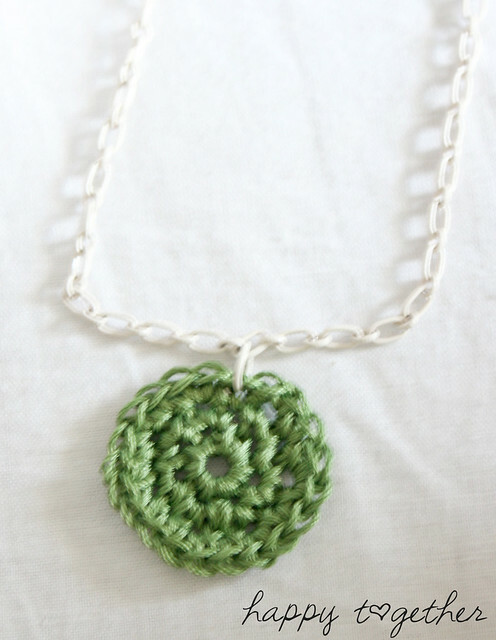 I am going to have her crochet me some circles (in blue) and make this necklace. Thanks for the awesome idea! Awesome! I LOVE this necklace, especially in the colors used. I wish I could remember how to crochet. Years ago my Mom and I made necklaces but they were just a simple stitch adding a bead every so often. Sadly, I can’t even recall how to do those. This is really lovely and it looks fun to wear…Thanks for sharing! Fantastic! The perfect summer crochet project. 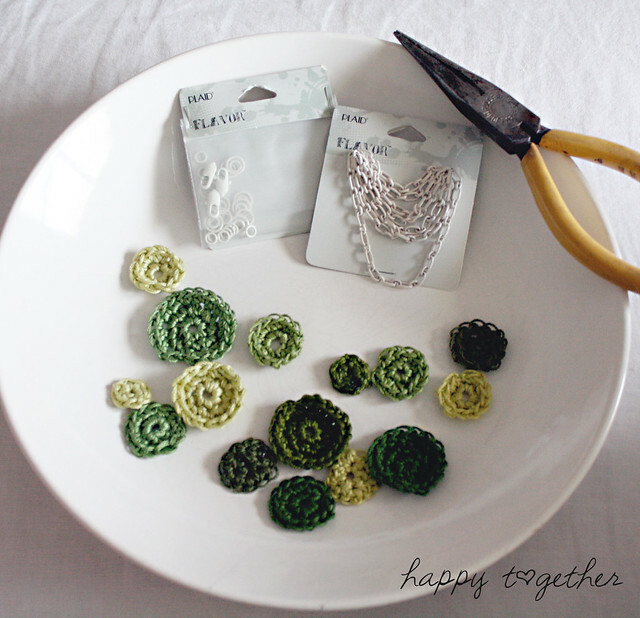 It would be fun to make tiny granny squares or motifs and connect them all to a chain, too. Thanks for sharing your project! Visiting from Kojo Designs. This is so cute. I haven’t crocheted (is that how you past tense that word? LOL) since I was a young girl. I might just try it again for one of these. Lovely. Very creative! I love it! Great job! Not quite sure what you mean? As in selling them or sharing the pattern or???? this darling project may get me back to crochet. I like it♥♥ So beautiful. Can you tell us the numbers of your DMC floss? 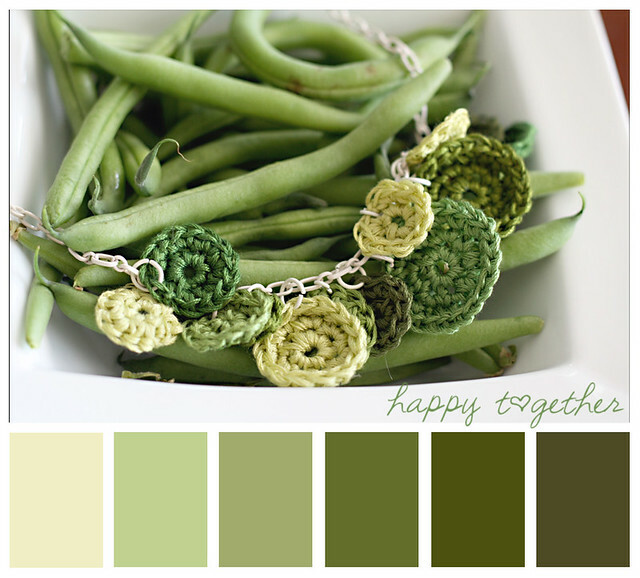 I’m really bad with shades… I’m a big crocheter and X-stitcher, so I can’t wait t make this!!! I wish I could. Unfortunately, I just have a lot of jumbled up floss I inherited from my mother. If it had a paper with the number, it’s been long gone now. I haven’t looked at how they organize the threads, but I think they kind of grouped them together by the shades of a certain color? Like they do scrapbook paper? If they do, just find a certain color you want and pick a few that are there together. I’m sorry I can’t be of more help. Can you tell me how many strands you used of the floss?Do I use one or double up on it? Just one 🙂 I just left the strand as it was and didn’t take it apart to make it thinner.